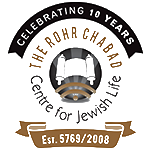 WHAT: Hear the Ten Commandments being read from the Torah, in observance of the holiday of Shavuot, and enjoy a dairy buffet of pastas, salads, blintzes (crepes) and cheesecakes. Oh did we mention the ice cream bar? WHY: Because this is the day that changed everything...and still does. RSVP kindly requested by May 25th, by email or phone. PLUS - Join in the all nighter of the year! Midnight until dawn, late Saturday night/early sunday morning. There is a custom to stay awake and study Torah in preparation for the reenactment of the Giving of the Torah. Stop by anytime!